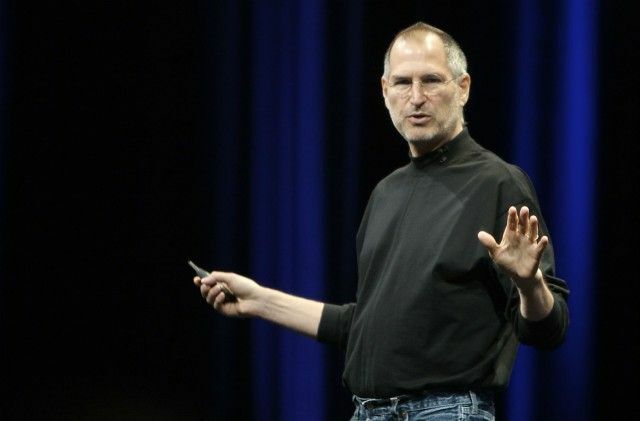 Steve Jobs put his leave of absence down to a "hormone imbalance." January 14, 2009: Steve Jobs’ cancer worsens to the point that he takes a medical leave from Apple. By 2009, Jobs’ pancreatic cancer diagnosis had been known by himself and his family for more than five years. This in itself was something of a miracle. According to the American Cancer Society, for all stages of pancreatic cancer combined, the one-year relative survival rate is 20 percent. The five-year rate drops all the way down to 7 percent. Jobs, however, suffered from a less aggressive form of the cancer called islet cell neuroendocrine tumor. If he had sought treatment immediately, he might possibly have survived. However, Jobs for nine months rejected doctors’ recommendations to undergo surgery. Instead, he treated the cancer with alternative therapies. These included a vegan diet, acupuncture, herbal remedies and even consulting a psychic. Jobs ultimately underwent surgery in July 2004, with Tim Cook temporarily assuming the role of Apple CEO for the first time. During the surgery, doctors found liver metastases, which prompted Jobs to begin chemotherapy. Jobs returned to Apple in 2005, telling everyone he had been cured — which is the same thing he told students during his famous Stanford commencement address in June 2005. Sadly, he wasn’t. This became obvious to everyone by Apple’s Worldwide Developers Conference in August 2006, where Jobs appeared much thinner than before. For the next several years, Jobs remained quiet about his cancer. He continued telling everyone that he beat the illness. However, it became clear from looking at him that this was wishful thinking. Behind the scenes, Jobs pursued a range of treatments. These included experimental, hormone-delivered radiotherapy in Switzerland, and peptide receptor radionuclide therapy in The Netherlands. One of the issues with Jobs misleading people in this way was that, as the miraculous CEO who had turned around Apple, his wellbeing was viewed as critical to the company’s valuation. A lack of transparency, and a willful misrepresentation of his health condition, put Apple in a difficult situation. In the end, after a week of sustained legal recommendations, Jobs wrote a second letter, dated January 14. This time, he announced his leave of absence.